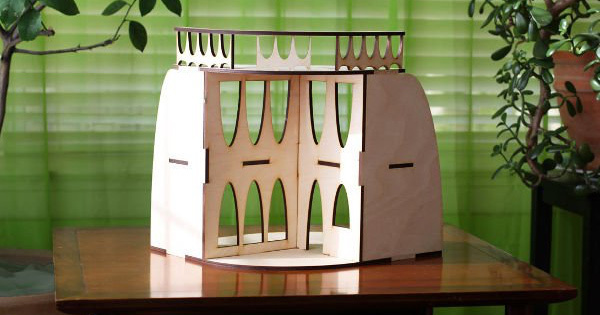 As much a work of exquisite art as a child’s toy, these intricate doll houses have taken our breath away. 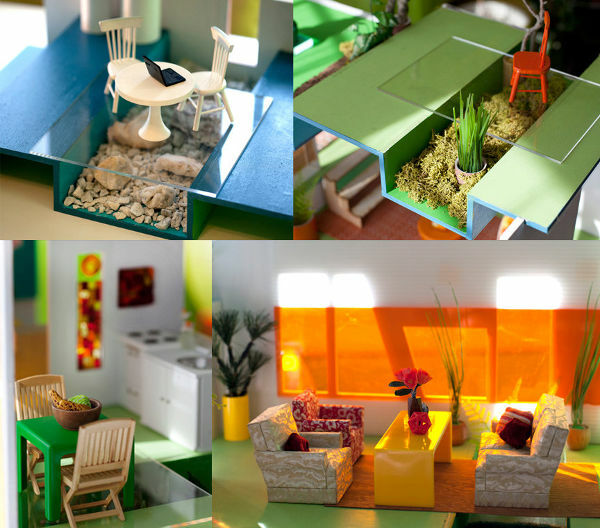 There’s most certainly a retro vibe running through these stunning miniature houses, created by 3 Star Studio Arts. 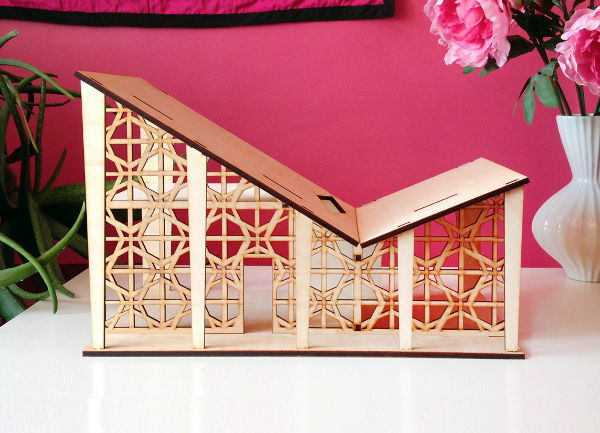 This is one Etsy store you’ll need to set aside a good deal of time to peruse. The first little house to catch our eye was the Butterfly. Its moniker comes from the roof design, which looks like butterfly wings, and is a nod to similar roof designs popular in America in the 1930s. 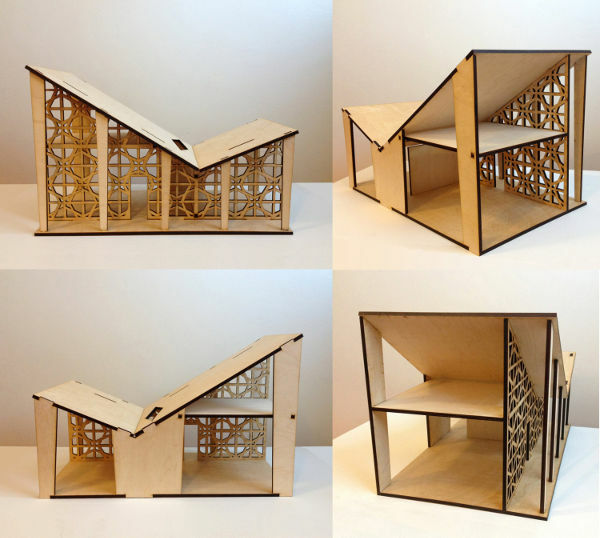 Although this beautiful house looks delicate, it is made for both play and display, and comes flat packed. 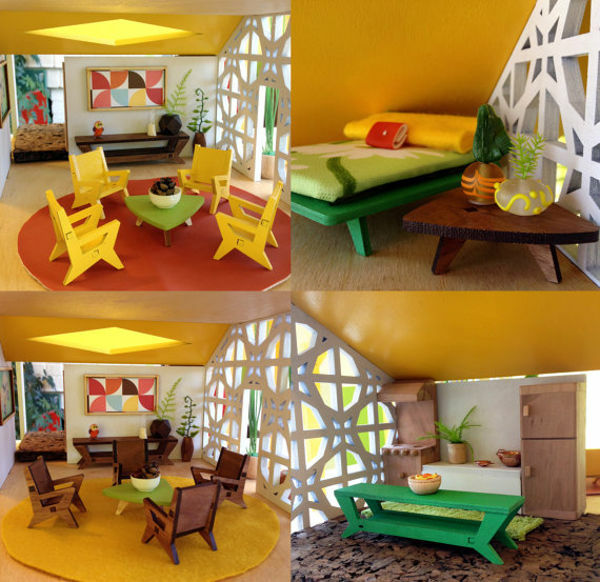 3 Star Studio Arts has also designed a set of furniture to adorn the interior of each of these little houses, and the Butterfly house furniture is equally reflective of the 1930s. 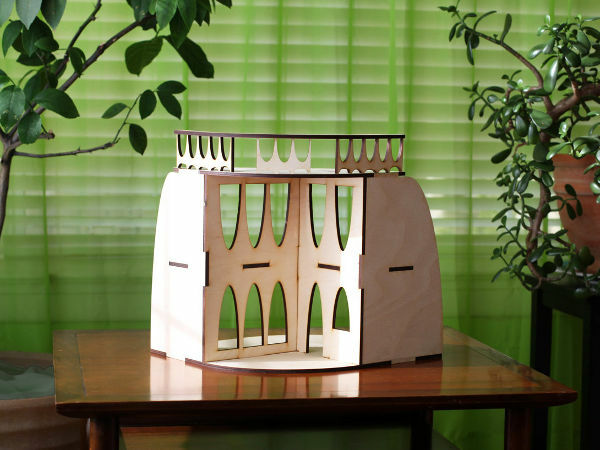 Another wonder in miniature architecture is the Arc. Inspired by Oscar Niemeyer and the arcs of Brasilia and the Palácio do Planalto, the incredible smooth lines make it a real stand out. The furniture for the Arc is equally clean-lined and incredible. 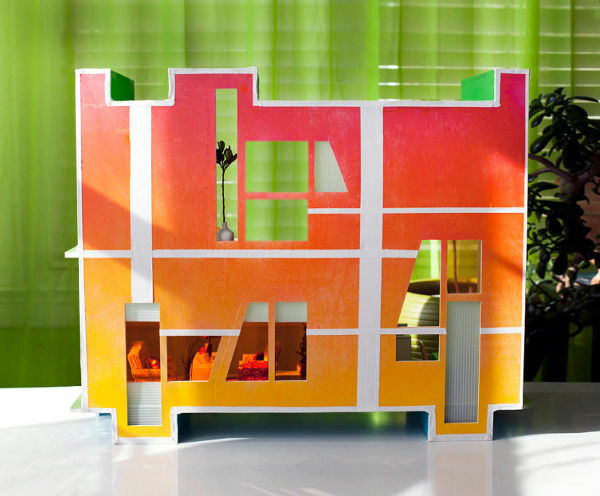 3 Star Studio Arts also boasts what it claims is a world-first reversible doll house. Play and decorate the house on one side, and then flip the house to reveal a whole new layout. This one can truly be made your own by painting the floors and ceilings, and then by flipping it everything looks different. A really interactive and clever design. The doll houses vary in price, from around $100 up to around $300, and the furniture sets start from around $50. 3 Star Studio Arts will ship internationally, but each piece is weighted differently, so you will have to make contact to work out the cost.